Philip Condron, owner and founder of Condron Media, had almost a quarter century of marketing under his belt when he started his company nearly 25 years ago. Applying that experience and hiring a talented and creative team helped his advertising company become a local industry leader. 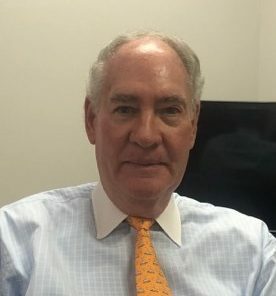 Mr. Condron spent his early career in broadcasting, eventually managing two regional stations before accepting a position as COO of a regional advertising agency. After three years of managing that advertising and public relations firm he launched his own company, now known as Condron Media. Mr. Condron spoke about the company handling marketing for all types of businesses, mentioning its history with local franchises such as Subway, Jiffy Lube, Heavenly Ham and Dairy Queen, plus its long history with healthcare clients. “I think our business comes in waves,” he said. “We are probably best known as an advertising and public relations firm that companies can turn to for sound marketing direction.” According to Mr. Condron, the business has remained successful through the last 25 years because of its talented staff, creative flexibility and application of emerging technologies. “We want to provide the best, most honest service for our clients, because there is nothing they appreciate more,” Mr. Condron said. Visit www.condronmedia.com for more information.